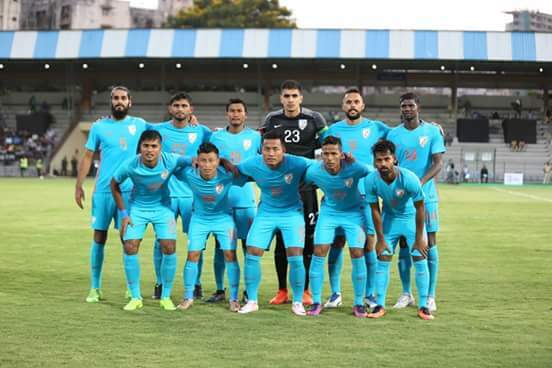 Indian Football team take on China this Saturday in Suzhou, China. This game would be the blue tiger’s toughest test since facing Iran and Oman more than two years ago in the World Cup qualification. China are currently managed by 2006 World Cup winning manager Marcelo Lippi. 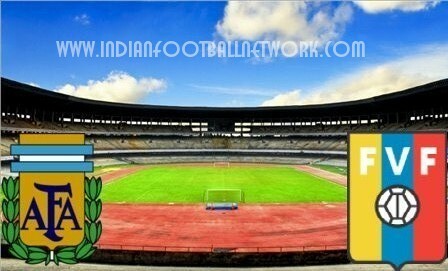 India will miss the likes of Balwant Singh due to his troubles with his passport and Dhanpal Ganesh due to an injury. India will have a much fitter squad than last time considering the friendly takes place between the season. 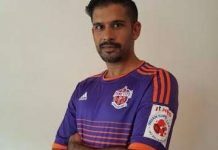 Stephen Constantine has also stuck with his favourite Sumeet Passi despite the striker failing to score for the third season in the running. 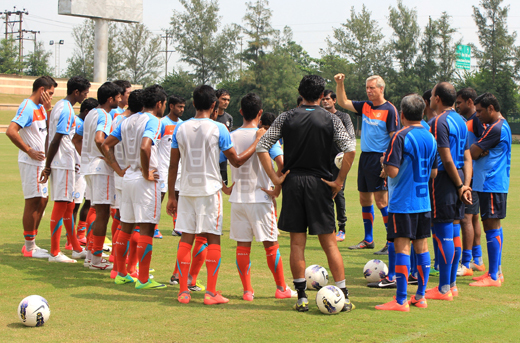 Stephen Constantine giving Instructions to players. “We are not going there to lose. Yes, it’s going to be very difficult but our objective is always is to win when we step on the pitch. If we don’t win, we’ll take the positives from the game and move on”, Constantine added. 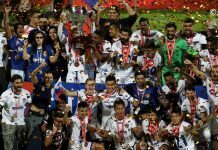 Marcelo Lippi took over China after a disastrous start to their World Cup qualification campaign and managed steadied their sinking ship. 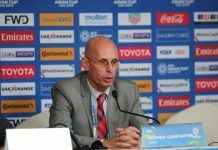 His contract is set to expire after the Asian cup and he has already expressed his desire to retire post the tournament in UAE. 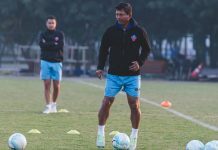 Stephen Constantine will use his usual 4-4-1-1 formation with Sunil Chhetri slightly withdrawn from the center forward. 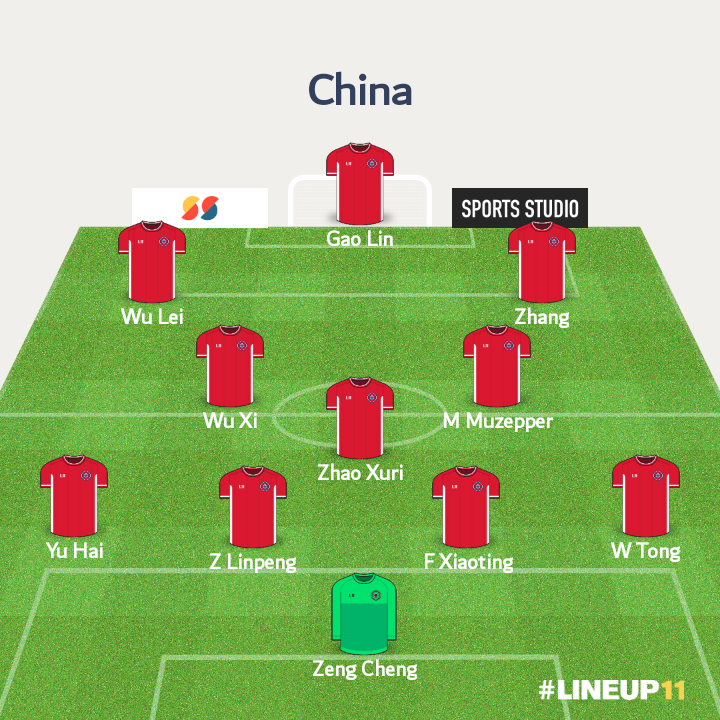 Marcelo Lippi has used several formations in his tutelage as manager of China and I expect him to go with a 4-3-3 similar to what he used against Myanmar and Thailand recently. China will certainly dominate majority of possession in this game while India will set up very defensively expecting to attack on the counter. Under Lippi China have been one of strongest defensive units in whole of Asia. Though their defence was exposed against the likes of Wales and Czech Republic earlier this year they have managed to put on some solid display against Asian giants like South Korea, Iran and Japan. Despite boasting a strong defence China have struggled to score goals under Lippi. They have only managed 3 goals in their last 4 games. 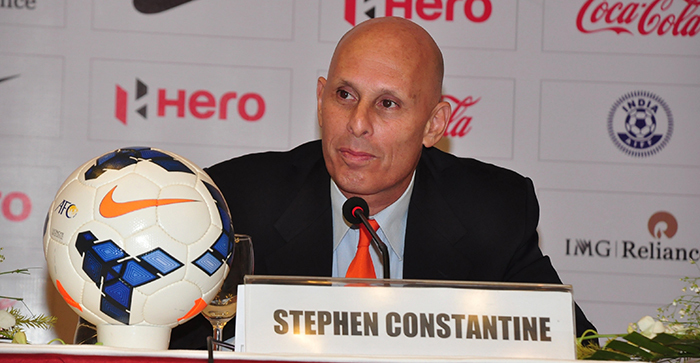 Stephen Constantine has always preferred to park the bus against stronger opposition and play on the counter attack. He did manage to put a solid display against Oman in his third game in charge at Bangalore but has not managed repeat that performance. Against China we can expect a similar approach from him. Sunil Chhetri – To score goals up front India will be dependent on ever relaiable capatain. Wu Lei – He has been one of player in the Chinese Super League this season. China will heavily rely on him to score goals. Lets be honest China are a superior side and clear favourites to win this game. India would have to do something extraordinary to get a result from this fixture.